Each capsule contains 600 mg Monascus Purpureus Went yeast fermented on premium rice, including metabolic by-product of the fermentation process consisting of monacolins (0.2% - 0.3%), natural pigment and unsaturated fatty acids. Take 2 capsules 2 times a day (morning & evening) after meals. Not recommended for pregnant or nursing woman: individuals under 20 years of age and those at risk for or have history of liver disease. Consult your physician if you are taking any medication, or if you are under physician supervision for cholesterol control. Each 600mg capsule contains 400mg of proprietary Red Yeast Rice Extract (standardised to 0.8% monacolin K) and 200mg Gymnema sylvestre Leaf Extract (standardised to 25% Gymnemic Acid). Proprietary Red Yeast Rice extract helps to balance circulating cholesterol levels. 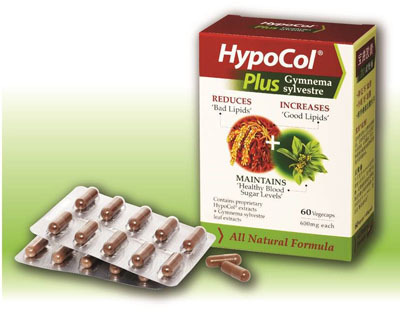 Gymnema Leaf Extract helps to maintain circulating blood sugar levels. For optimal result, take 1 capsule twice daily after meals. For general maintenance, take 1 capsule daily. Do not exceed the recommended dose. Not recommended for pregnant or nursing woman; individuals under 20 years of age and those at risk for or have history of liver disease. Consult your physician if you are taking any medication, or if you are under physician supervision for cholesterol and diabetic control.